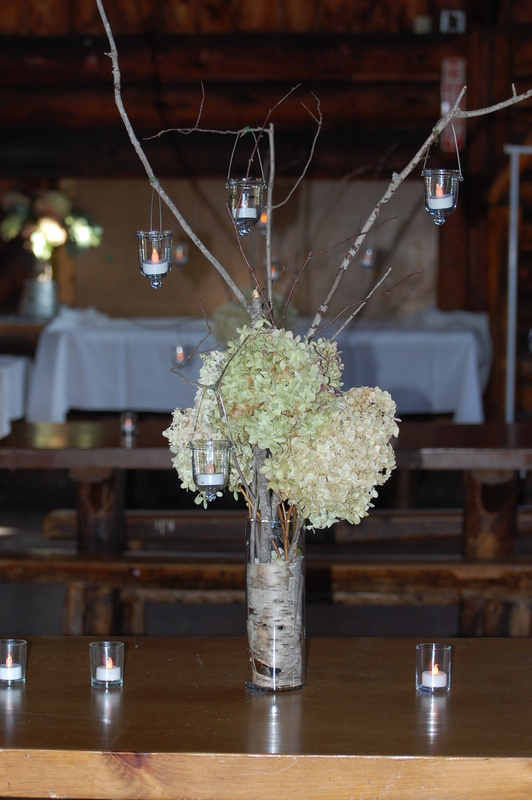 This weekend I did the flowers and decor for my friend and photographer Liz Donnelly. 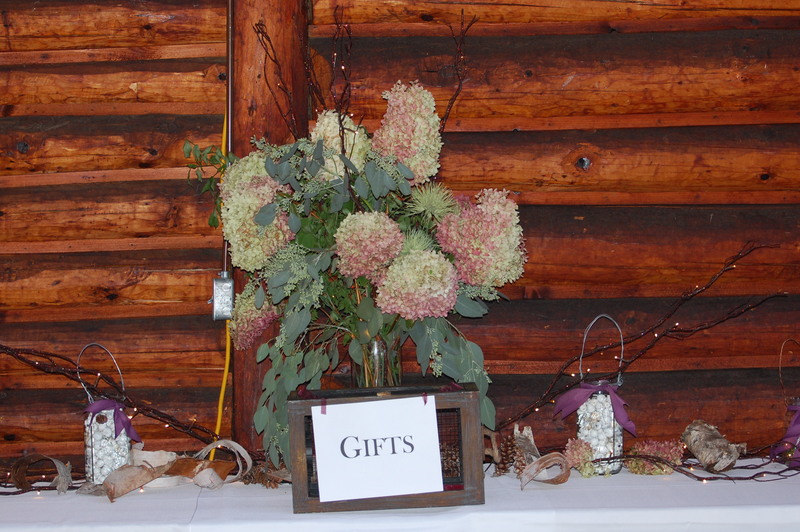 We had no budget…and by that I do not mean a unlimitted budget, I mean we needed to keep all decor to a few hundred dollars. So we turned to Pinterest for ideas! 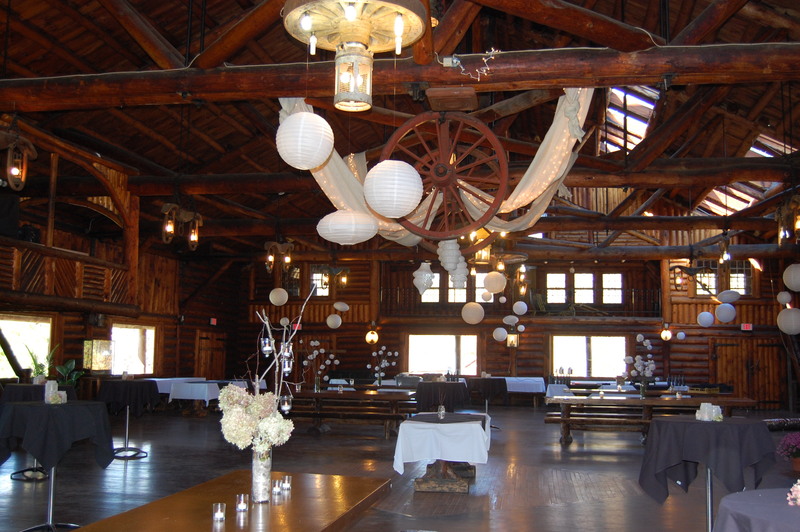 The wedding was held at the largest log cabin in the world ( it was a bit run down too) and because the structure is all wood and old we could have not open flames…no flames at all in fact. So we had to use all battery candles. My dearest friend (and coworker) Anne Sowles helped me pull this off! She also took the photos. I hope you like our inspiration and our results! 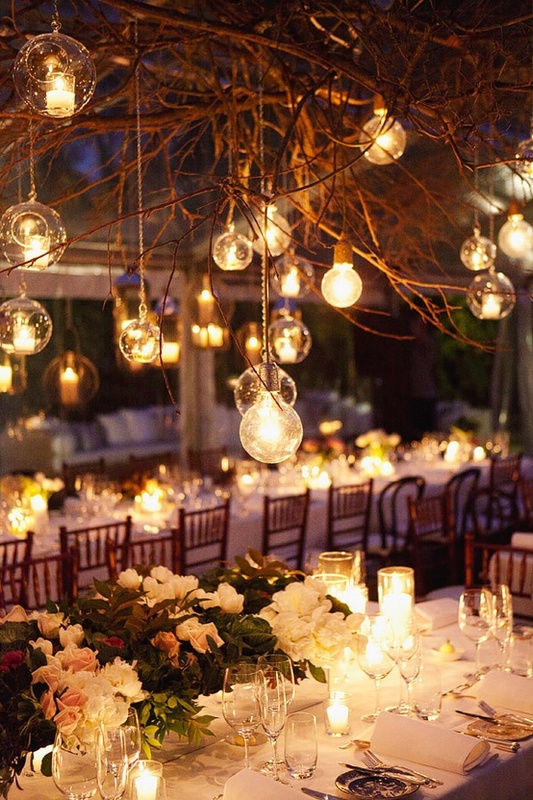 Our Inspiration for Hanging lights…. Our budget friendly version of the ideas above! 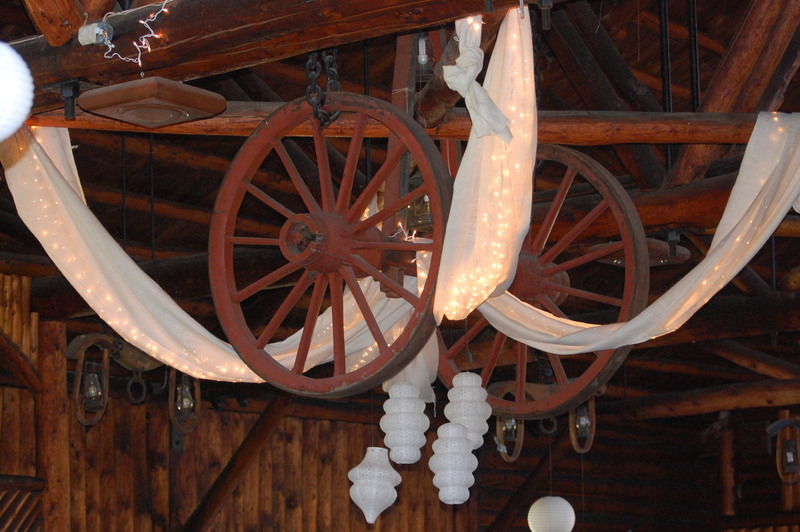 We used white Burlap (very inexpensive $1.89 a yard) and hung it from the ceiling and then strung white lights (make sure the cords are white so they bo not show) inside of it! Thank you Jeff, Lisa and Jess Skillins (www.skillins.com) you all helped us so much! 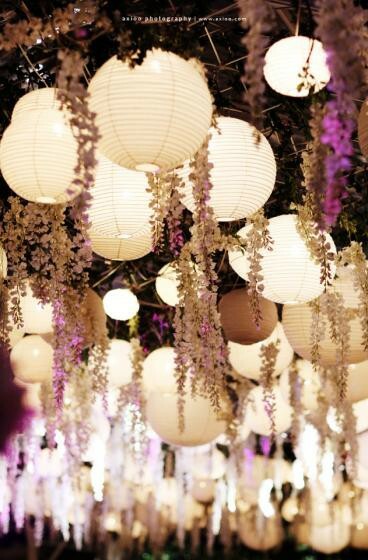 We then hung tons of white paper lanterns in all different shapes and sizes to add interest and demension to the room. 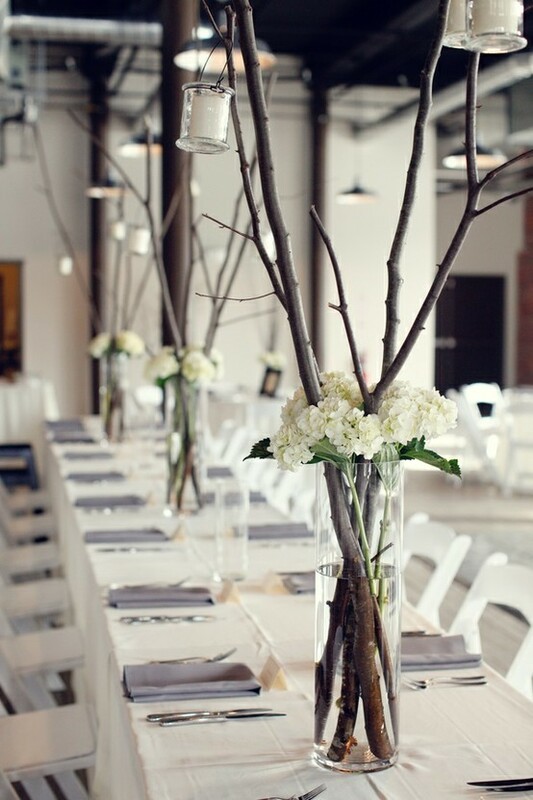 Centerpieces without too much expense…but lots of time! 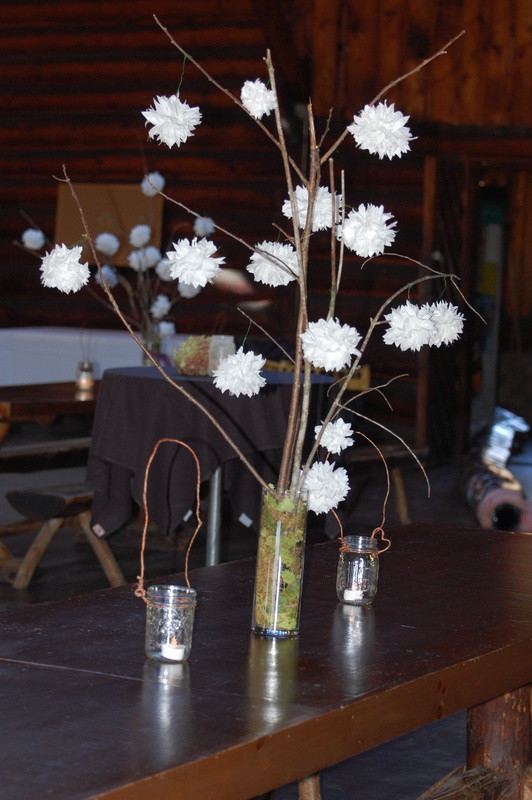 Our Version…boy this takes a long time to do but it was very effective and only cost about $7 an arrangement. 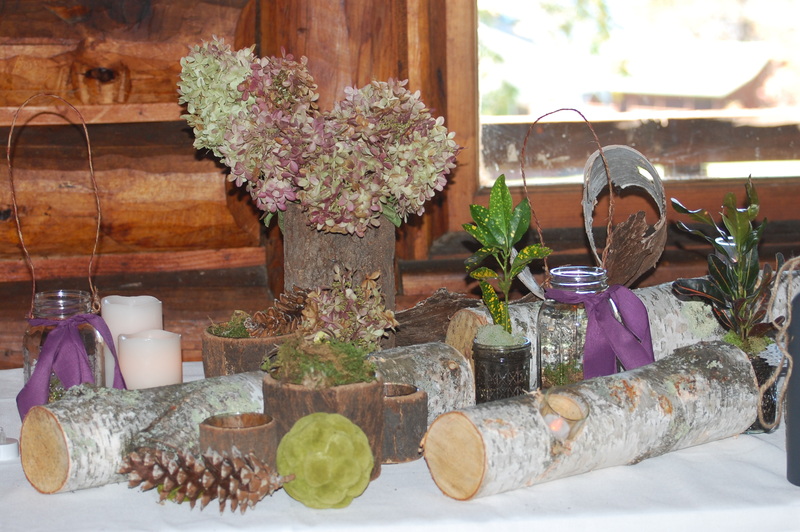 for this project you need a vase, branches, moss, tissue paper, and floral wire…and time! 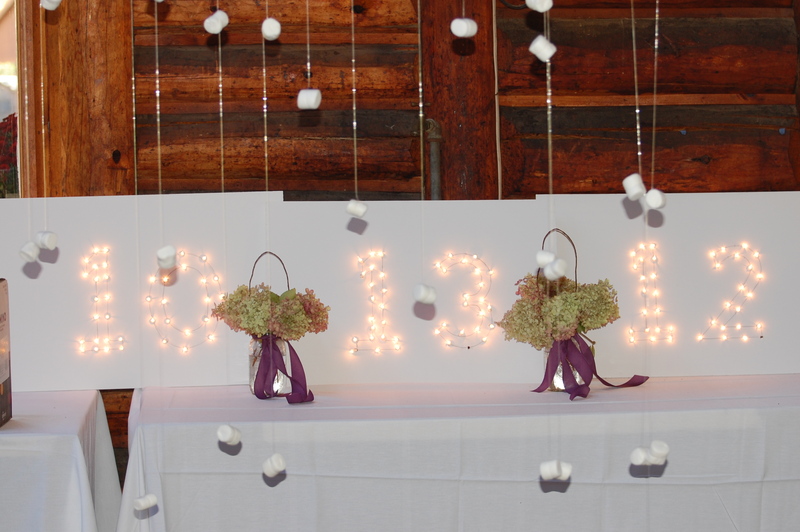 We were inspired by Pinterest for the hanging marshmallows too but I could not find the photo. Unfortunately our pictures not do this justice. We took 2 huge branches (5-6 feet) and added strings or marshmallows at different heights, the results were very cool almost like snow! This photo also high lights our “date in lights” project. For this we used white foam-core board and white lights we used a drill to make the holes and the stuck the lights into the holes…it was that easy! 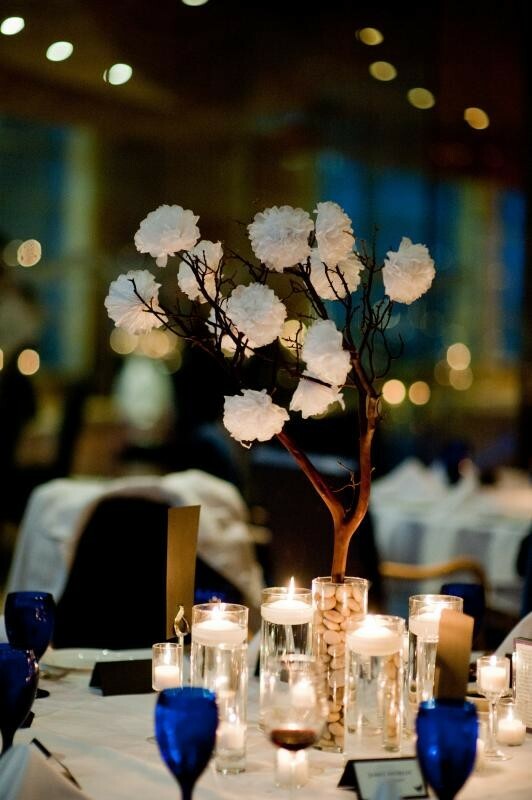 We hope you enjoyed this post…stay tuned for the professional photographs as the include all of the fresh flowers and the bridemaids bouquets! 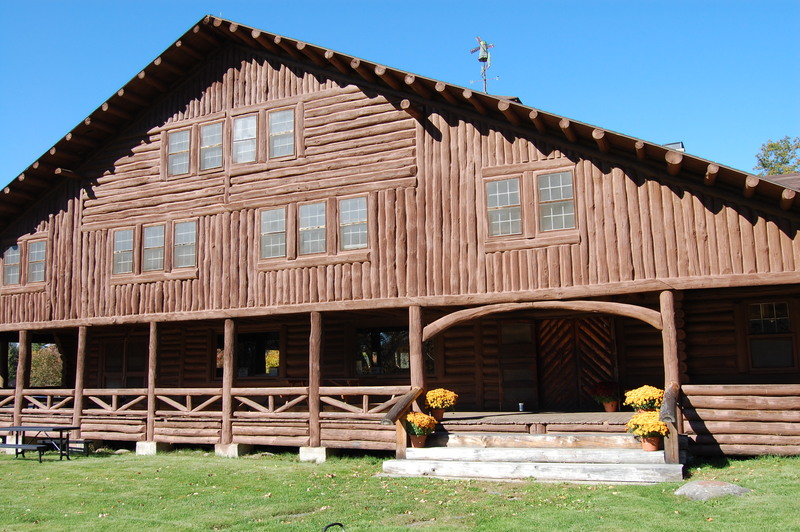 Please follow our blog…by clicking the follow button. Thank you for reading and let me know your thoughts. This is simple and beautiful. What a great job!